Natalie Mooney grew up in Adelaide and now lives in stunning far North Queensland. She has travelled Australia and the world, lived in Japan, studied ecotourism, primary school education and currently psychology. Working as a tour guide at Uluru and on Fraser Island heightened her love for the natural world. 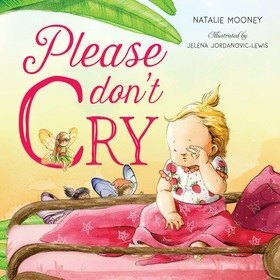 Working as a school teacher combined her love of the environment with the passion for enriching young minds, and then having two young children of her own inspired the birth of her first picture book, 'Please Don’t Cry'. She believes we all know how great it is to read to children, so why not start from birth? They may tear a few pages, wriggle around and even leave the room, but there’s nothing to lose and so much to gain by spending precious time every day sharing the magic found inside every book. In her spare time she can be found with her family exploring beaches and rainforests, gardening or folding a bottomless-pit of laundry.